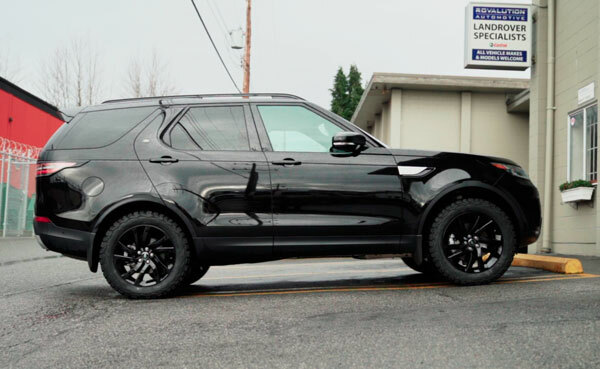 Are you looking to fit something a little meatier under your new Land Rover Discovery? Luckily, Johnson Rods has a solution for you and we've tested them out. The new Land Rover Discovery's air suspension system means that it is both the ultimate people/stuff/life hauler and the ultimate off-roader. But, that air suspension needs to be lifted to allow the new, much larger tires to fit. 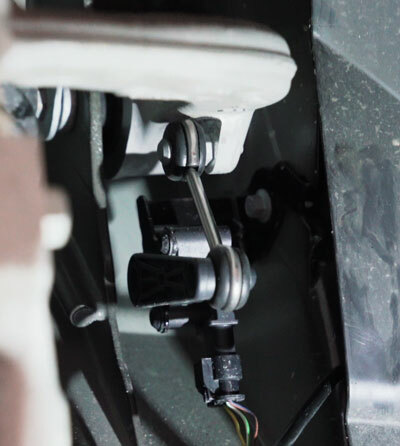 There are sensors at all four corners of the Land Rover that tell the air suspension where and how high it needs to be at each of the corners. 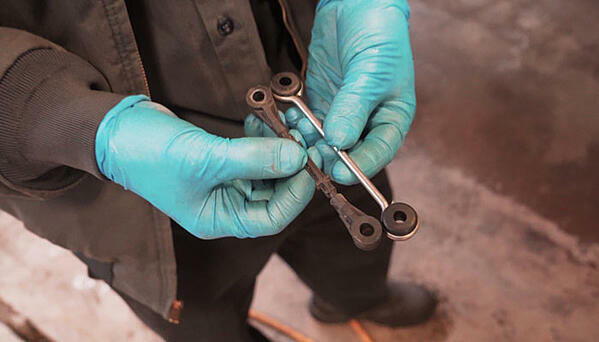 The company, Johnson Rods has created a kit that essentially 'tricks' the air suspension into thinking it is lower than it is, and, to raise up. These rods are also a durability upgrade for your Land Rover since they are made of a high quality metal instead of the standard plastic. Comparing the stock Land Rover rod (left) to the all metal Johnson Rod (right). The new Johnson Rod in place on the front corner. After removing the old tires from the rims we mounted the new, BF Goodrich KO2s and got to changing the standard height rods to the new, Johnson Rods. The change is quite simple, especially on a brand new car like this one. Slide out the old height rods and slide in the new rods. With that done it's time to put the tires back on the truck, drop the car down and torque the wheels. The most important part of the Johnson Rods is to do a full alignment of the Discovery once the new tires and rods are in. The alignment is essential because when the truck sits higher all the time, the stock alignment will make the new tires wear unevenly and the Land Rover won't drive as well as if it was aligned perfectly. An alignment after we install the Johnson Rods and the new tires solves this problem and will save you money down the road with your tires lasting longer. Nearly any Land Rover with air suspension has a Johnson Rod kit available for it. Click here to check them out. Check out the video on YouTube to see the swap in action!